The first of the Four Noble Truths of Buddhism is that all of life is suffering. In this context the predicament of the artist is no different than that of a plumber or a president though I’ve yet to find a plumber who considers suffering necessary to his or her vocation. With artists, suffering seems to be a prerequisite. Why do artists think they need to suffer or believe that suffering unlocks the door to their artistry? The healers in Bali are mostly artists and they believe their healing powers come after a wound. Suffering, they believe, the wound, opens them to a greater perception; it opens them to new powers. Suffering helps them walk into and get comfortable with their shadow. They learn to cease resisting their shadow and to make peace with it. As a nation we do not easily walk into our shadow. One of the roles of “artist” is to go where others choose not to go. A walk into the shadow may be uncomfortable but it is equally as liberating. An artist is supposed to see what others cannot and sometimes that is painful. An artist may act as a bridge between worlds of perception, living on the edge of the village, traveling into the netherworlds to retrieve a truth or a lost soul. This at times may be solitary or scary but it is always transforming. An artist rarely “fits” the social norms – and sometimes that is disconcerting – but always serves the health and growth of the pack. Artists walk into the shadow of their tribe and return with greater vision, insight, and guidance. 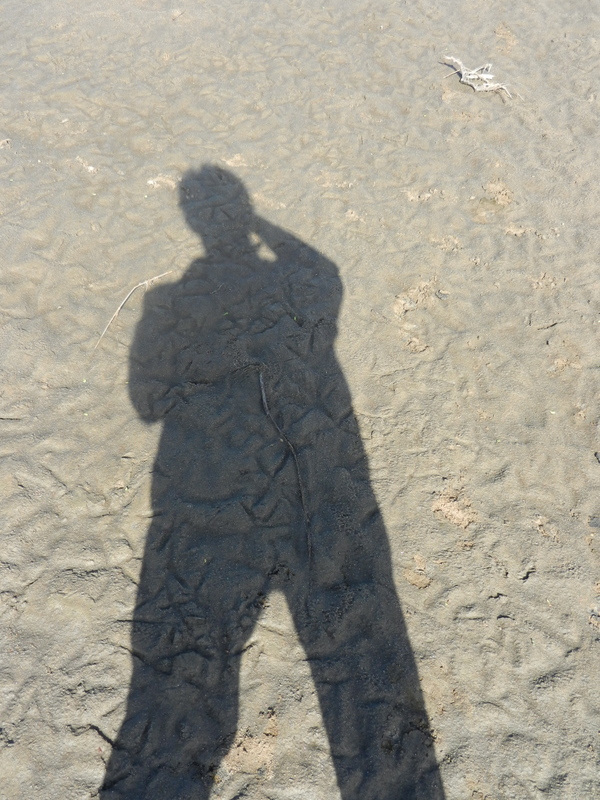 I love shadows – literally and metaphorically. Most stories are about people walking into their fears and fears always lurk in the shadows. Shadow work leads to an inevitable realization: you create the fear because you are the teller of the story. Recognizing that you are the teller of your own story, the interpreter of your experience, is great for releasing shadows. The walk through the shadow lands always leads to the heart and, at the end of it all, isn’t that what artistry (or life) is all about?